In 1989, NASA released a report with the name "Interior landscape plants for indoor air pollution abatement." The goal of the report was to research different indoor plants to see if they could be used as a tool to solve indoor air pollution problems on Earth. The indoor air pollution has its own name and it's "sick building syndrome." The report estimated that 30 percent of all the buildings are suffering from this sick building syndrome. The background to this problem is as follows. In the 1970s, a series of energy crises occurred. The worst crises of this period were the oil embargo of 1973 when several countries in the middle east didn't want to supply the US with oil because the US supported Israel during the Yom Kippur War, and the 1979 crisis caused by the Iranian revolution. The result was that the price of oil increased with several hundred percent. Because of these high energy prices, everyone decided to reduce the fresh air exchange to improve the energy efficiency of the buildings. The workers in these new buildings began to complain on various health problems, such as itchy eyes, and headaches. What contributed to these problems were a combination of the airtight sealing of the buildings, and the design and manufacturing of the equipment and furnishings used in the buildings. The best solution to these problems is to use indoor plants. The Indian researcher Kamal Meattle gave a Ted talk in 2009 with the subject "How to grow fresh air." He began his research when he became allergic to the pollution from the air in New Delhi. You can measure air pollution with AQI, where 0 is no pollution and 500 is then highest level of pollution. An AQI below 50 is considered to be good, and above 200 is considered to be very unhealthy. The AQI in New Delhi is between 320 and 380, or hazardous on the AQI scale. Do you think this sounds bad? Then visit Shanghai, China, where the AQI could be 600. Kamal Meattle came to the conclusion that he needed three types of different plants to clean the air in his indoor environment. In total, he would need about 12 plants to be able to live in a sealed bottle without any ventilation. This was per person, so if you are three persons living in the house, you will need 36 plants. But if your city AQI is lower than the AQI in New Delhi, and if you don't live in a sealed bottle, you will not need that many plants. A common rule is to use one plant per 100 feet^2 (9 m^2) of house. Kamal Meattle also installed 1200 plants in an office building, and the result was that the number of headaches decreased with 24 percent. 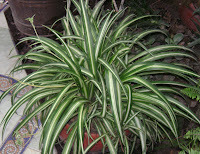 When you have realized that you need to use indoor plants to clean the air, you need to choose which plants to use since some are better than others. You also need to check if the plant is dangerous to your kids and your cats, how often you need to water them, and if they can survive in darkness or if they need sun light. You can find a complete list here: List of air-filtering plants. Remember that a plant may be considered to be non-toxic to your cat, but your cat may still get sick if the beast eats all of your plants. 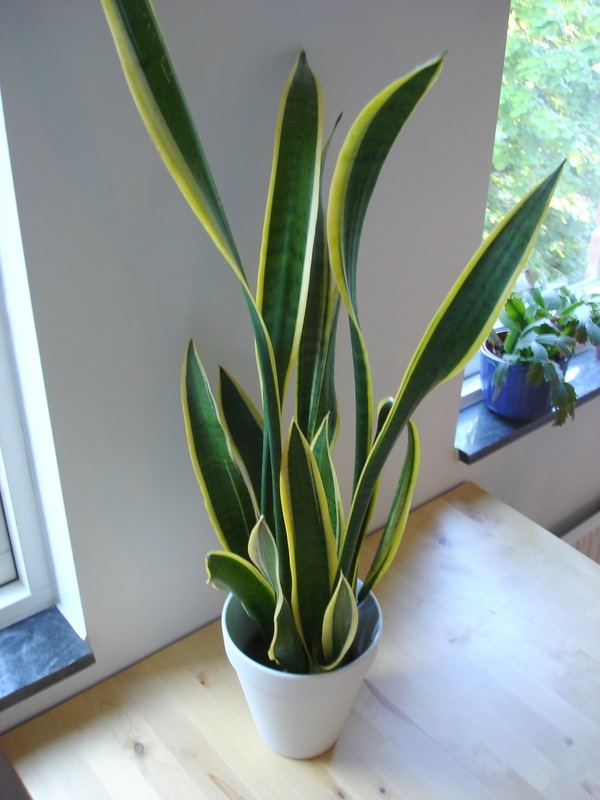 A plant that is considered to be easy to take care of is the Snake plant (mother-in-law's tongue), it cleans everything except ammonia, but it is poisonous to your cat. It was also on the list used by Kamal Meattle in his experiment. 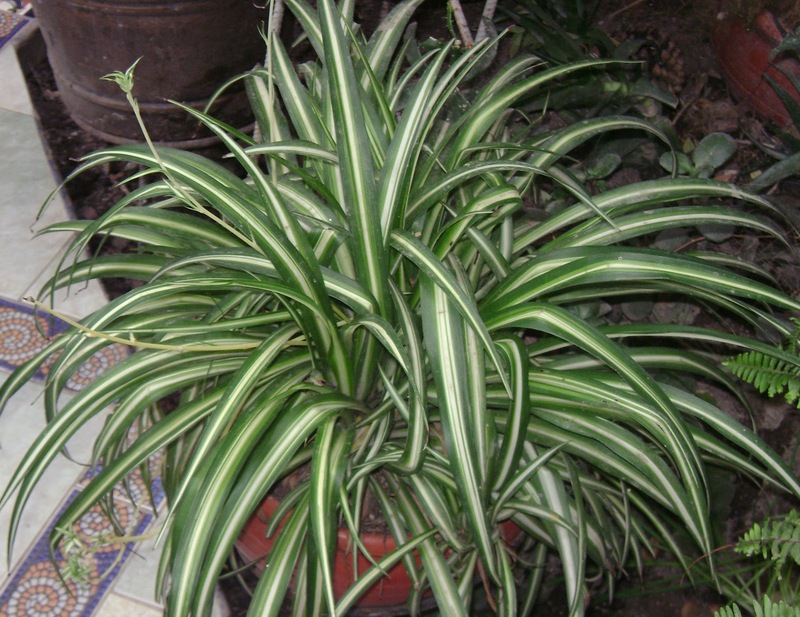 Another plant that is easy to take care of is the Spider plant, but it is less good at cleaning the air, but it is non-toxic to your cat. 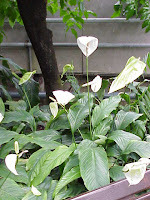 The best air-cleaner is the Peace lily, but the plant needs water regularly, and it is poisonous to your cat. So the task to choose an optimum plant is clearly not an easy one. I myself bought a Spider plant last week (the price of the plant was like $10 so an healthy environment is clearly not expensive), and I'm currently trying to hunt down a Snake plant. The apartment is small, and the AQI is within reasonable levels, so two tough plants will hopefully be enough.